Some editorials are time-sensitive, rightly addressing pertinent issues of the day. Others are timeless, their wisdom echoing over the years. St. Peter’s Press in Muenster, Saskatchewan has just published a second collection of editorials by Andrew M. Britz, OSB, long time editor of the Prairie Messenger. The collection is titled Rule of Faith: As we worship, so we believe, so we live. In all the fun and excitement of donning their masks “to frighten” their neighbours, children unconsciously grasp some important wisdom which is likely difficult to learn any other way. They sense the power that comes to those able to step out of the daily confines of their existence and view life from a new perspective. Draw a few whiskers on a child’s face and behold — the normally shy and timid little one is ready to go out and challenge the world! 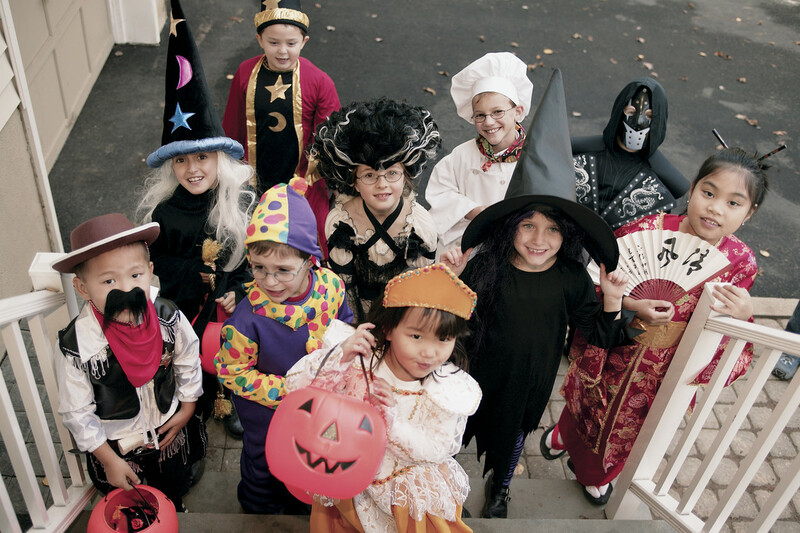 Britz sees no evil in children dressing as goblins, witches and Frankensteins. Pagan images of fear and evil are drawn upon, not because they are believed in, but to be spoofed. The last thing Halloween does is lead children to take more seriously the fears they unwittingly harbour in the deepest levels of their being. He praises celebration for its power to take us deeper into life than sober, intellectual reflection. A wise society — and a wise church — allows its structures to be relativized in play. Then, and only then, is there a chance that when the children become mature adults they will not view these very structures as inhuman constrictions to growth, but rather will cherish them for the time-tested wisdom they contain. Central to Halloween is turning our key structure of order upside down. For a day children rule; in jest they frighten their elders into submission. No wonder the child in each of us still cherishes Halloween!